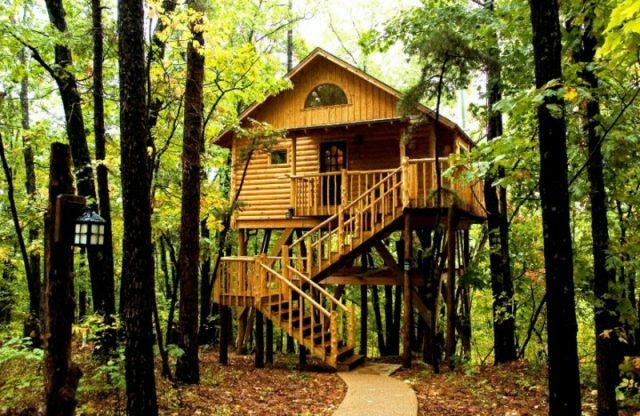 The idea of living in a treehouse never fails to impress and thrill us, especially in the humdrum of our daily life. 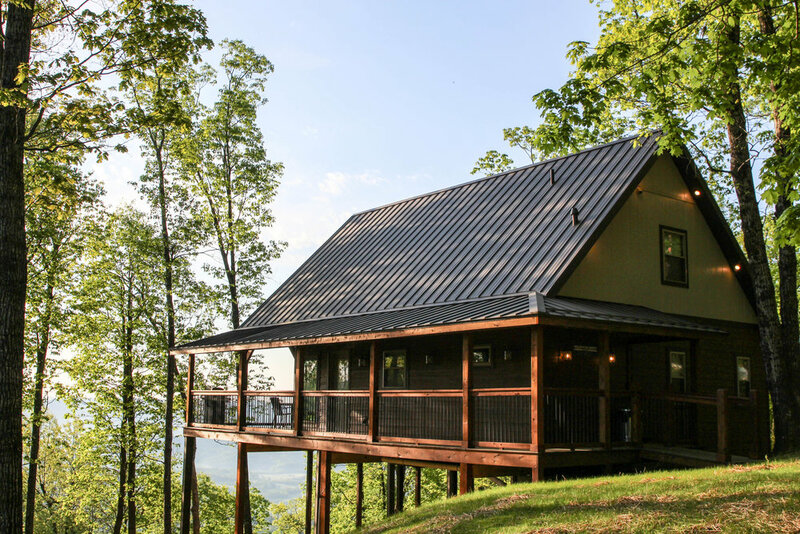 The proximity of woods along with rustling noise of leaves and a soothing view of trees, stretching miles after miles, makes us crave for such a gateway. 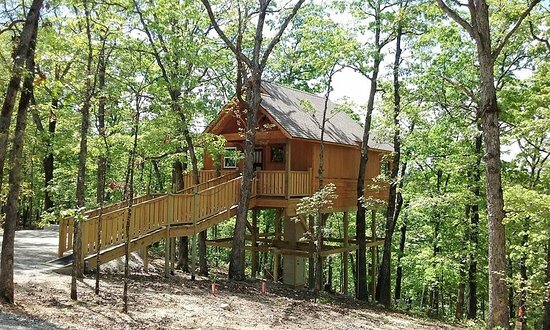 In Arkansas, most of the treehouses are located in Eureka Springs and they are not a treehouse in the truest sense as some of them are a hotel or motel with an appearance of a treehouse. 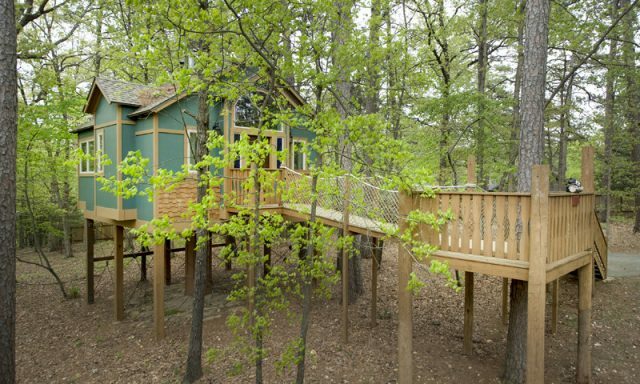 The beautiful treehouse complex has three treehouses, each named after fairy tales such as Hansel and Gretel, Anastasia, and Briar Rose. Although these three are different from each other in their appearance and getup, luxury is the one thing that is common in them. 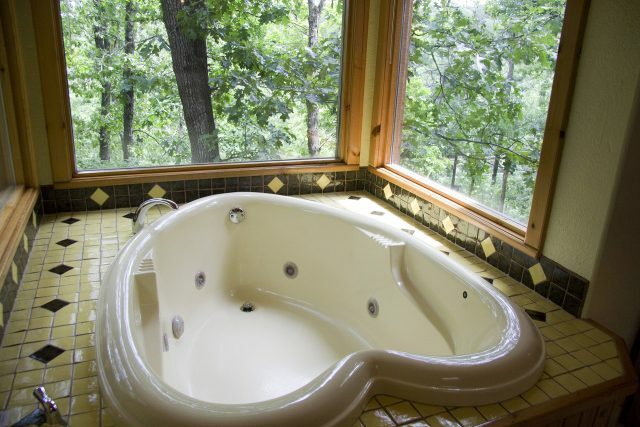 You will get Jacuzzis, fireplace, gas grills, free wifi connection and a cable TV inside your house. Since the reporting time is from 3:00 pm -5:00 pm, you should make a prior appointment if you happen to come late. 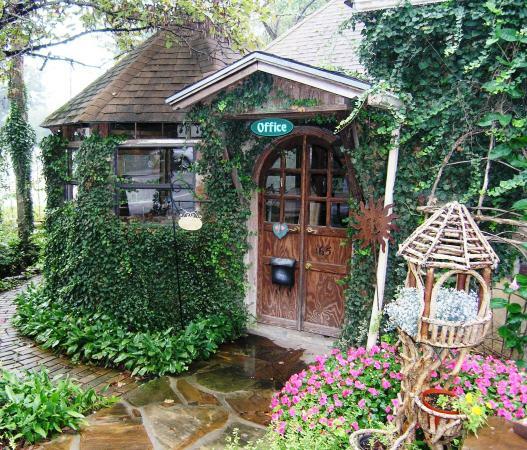 Also, booking is required always as the famous spot is often reserved for wedding anniversary celebrations or birthday. 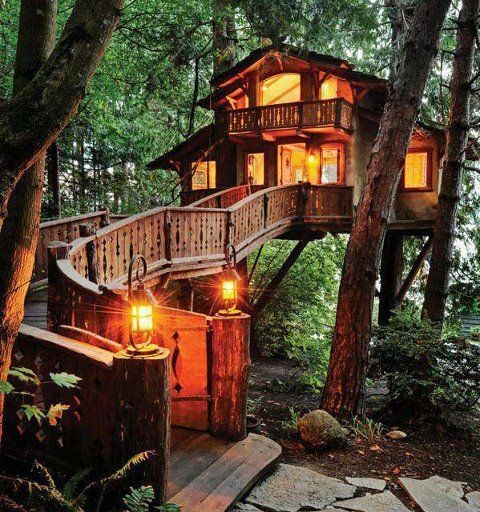 You can come here with your big family and stay at three treehouses as well. This is a hotel in shape of a treehouse so that guests can have the experience of living inside a treehouse. There are cottages and cabins as well for the lodging facility within the premise. 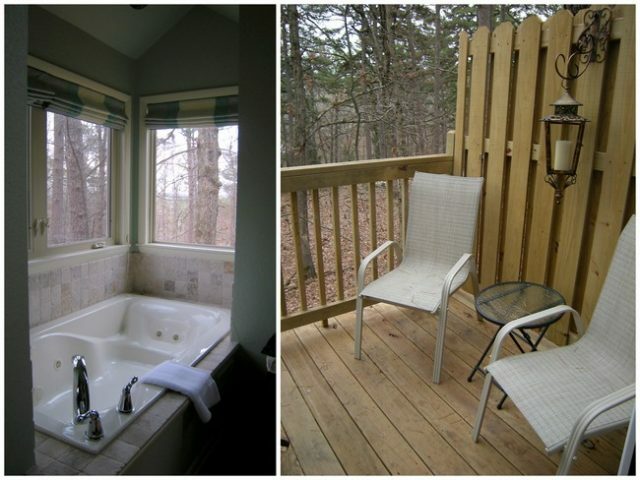 The view from the treehouse is all about raw nature. 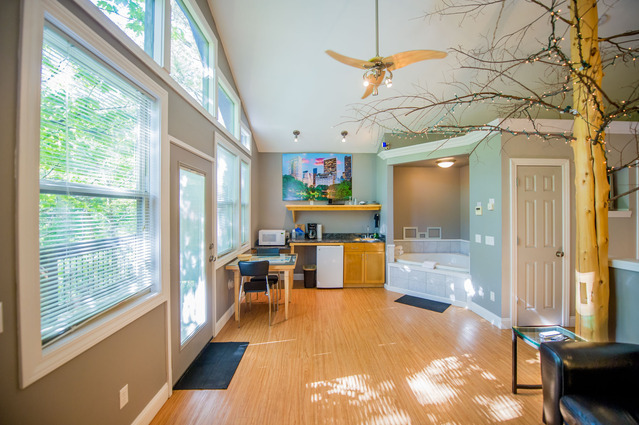 So, you have the best of both worlds as you receive the luxury of accommodations and a bohemian surrounding outside. 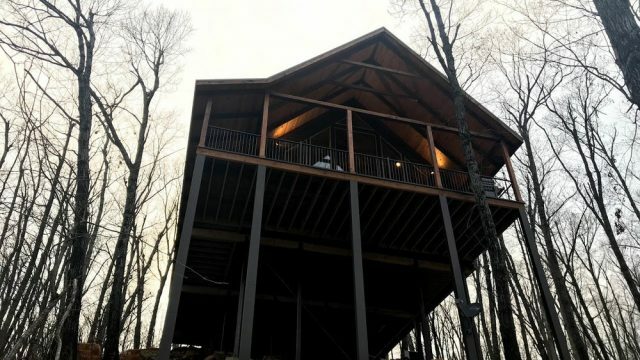 The names of a treehouse are Chataeu Treehouse, Abbey Chataeu Treehouse, and Winery Chataeu Treehouse. The place is a hotspot for a theme wedding and many couples prefer the place a honeymoon destination. 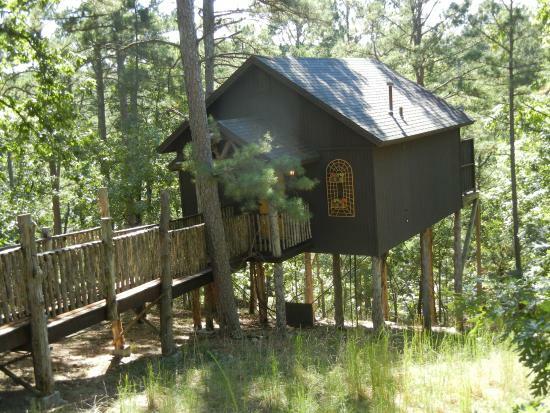 Located at West Van Buren, this treehouse offers multiple lodging facilities, each with its distinct style. 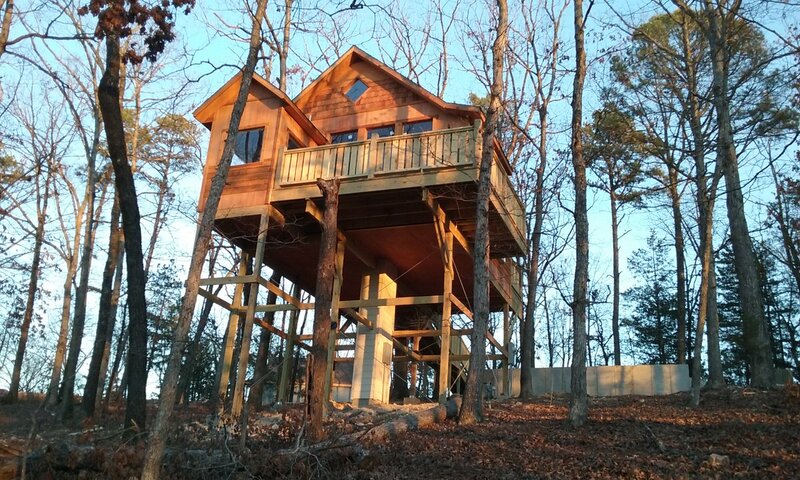 Cedar Shade Treehouse, Lofty Lookout Treehouse, Hideaway Treehouse, Whispering Wood Treehouse, and Towering Pine Treehouse are some of the options you will be spoilt with. 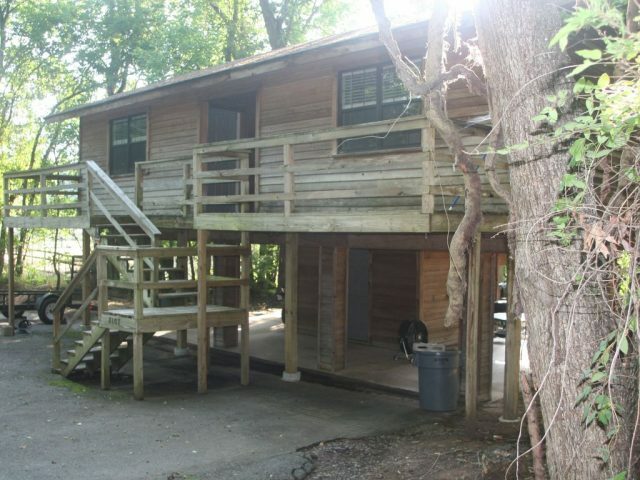 The names are suggestive about the position of the cabins where you will be given all modern amenities. Check the availability of the places as they are prone to get booked fast. 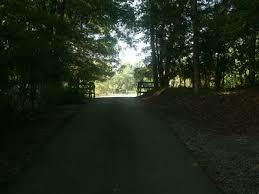 While staying here, you can pay a quick visit to Turpentine Creek Wildlife Refuge. The beauty of the place is all that matters, especially when it is coupled with uber facilities that you can only expect in a hotel. The best thing is if you are planning for a family outing here and your family has a four-legged friend, then you are welcome here. The hotel provides necessary help to wheelchair-bound people and is a completely no-smoking zone. 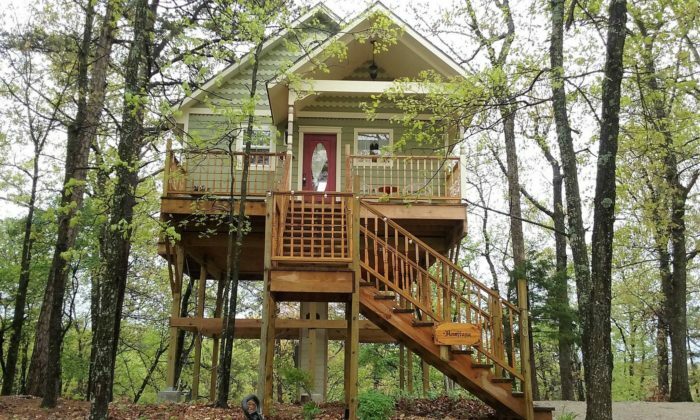 With multiple accommodation options, the place is known for its variety of treehouses. 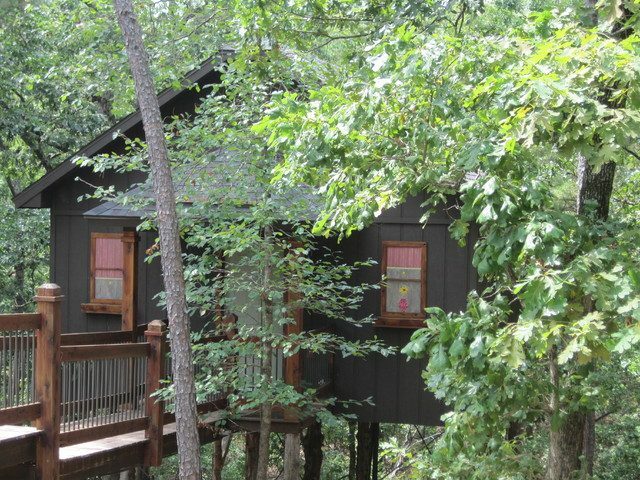 The Red Rock Vista Treetop cabin is a cozy 2 bedrooms cabin, where you have to stay minimum two nights. The Canyon View Treehouse overlooking the vast land in front is also a cozy cabin, perfect for spending a quiet weekend with your soulmate. The cabin features 1 bedroom and 1 bathroom. 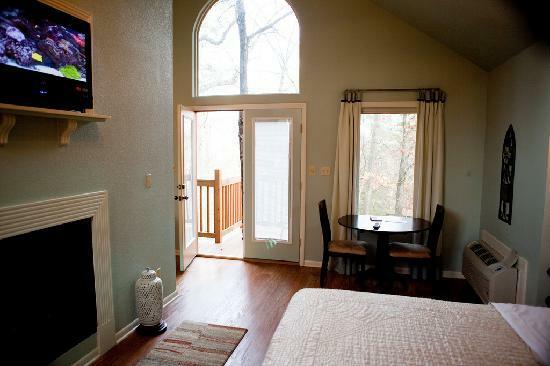 The Mountain Crest Treetop Cabin has 2 bedrooms and is quite a luxurious place to stay in. 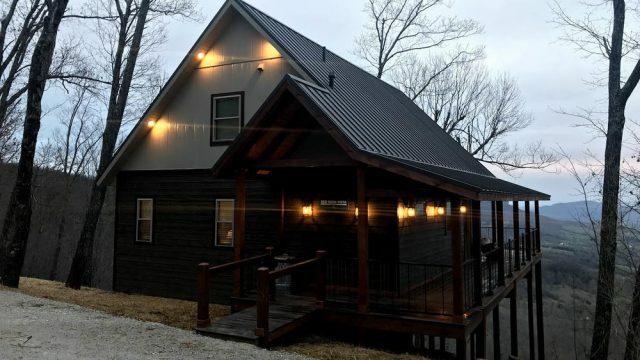 Just like its name, the tranquility of the place is what attracts people although the reasonable rates are one of the main reasons of the popularity. The Arkansas River streaming nearby, Ouachita Trail within a few steps from the cabin, and the Pinnacle Mt State Park with its close proximity make the place scenic without a doubt. 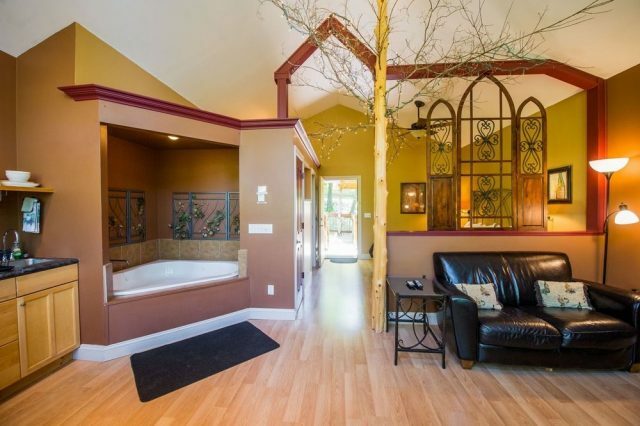 While the outside is all about greenery, the inside is quite fascinating with a Jacuzzi, a.c, flat screen tv, and kitchenettes. You will get to know what it feels like to stay in a 3-4 star hotel while getting to see woodlands from the window at the same time. 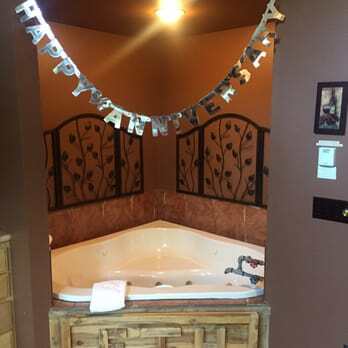 But, the place is often a chosen venue to many personal celebrations so, you have to book before you come here to stay. Treehouse is a beautiful concept where you can spend even more time with trees, grass, and woods. 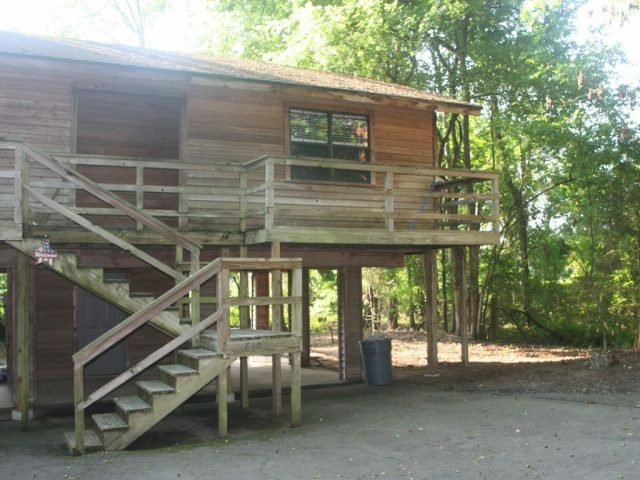 Mingling this with an ideal accommodation style is a unique and better way to enjoy your stay at the treehouses.